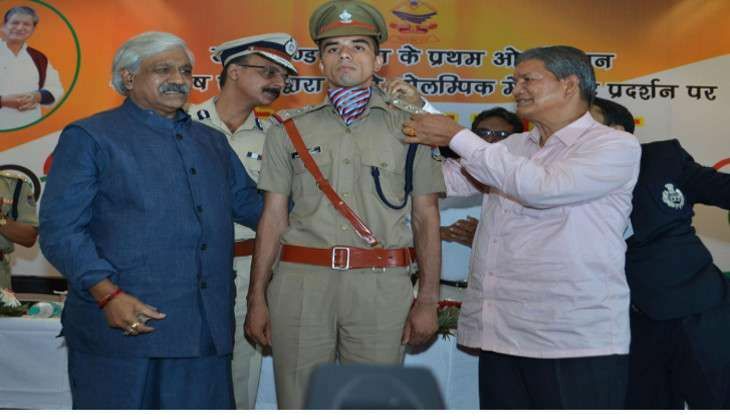 Uttarakhand Chief Minister Harish Rawat on 7 September promoted the constable - who secured the 13th position in the 20 km walking category at Rio Olympics 2016 - at a function in Dehradun. As a child, Rawat, born in Saggar in Chamoli district on 5 May 1991, wanted to join the Army. He used to reportedly wake up at 4am every day to train. However, an unspecified medical condition declared him unfit to join. He then turned his attention to athletics and took up race walking. "I was working as coach at Gopeshwar in 2007. Manish came in my contact and I suggested him to take up race walking. After that he never looked back and have made rapid strides in Indian sports," his coach Anup Bisht said. Manish won a silver medal in the junior national athletic championship in 2010. He followed it up with a gold in senior national athletic championship next year. He secured the second place (20km) in the Asian race walking championship in Japan this year. He clocked 1 hour 21 second and 21 minutes to bag the 13th spot in the 20 km walk at the Rio Olympics. Manish is now gearing up for 2020 Olympics.